* Didn't receive a Realm invite email? Please let us know by emailing office@fiveoakschurch.org. We'll get an invite email sent to you, so you can follow the instructions above and get connecting! 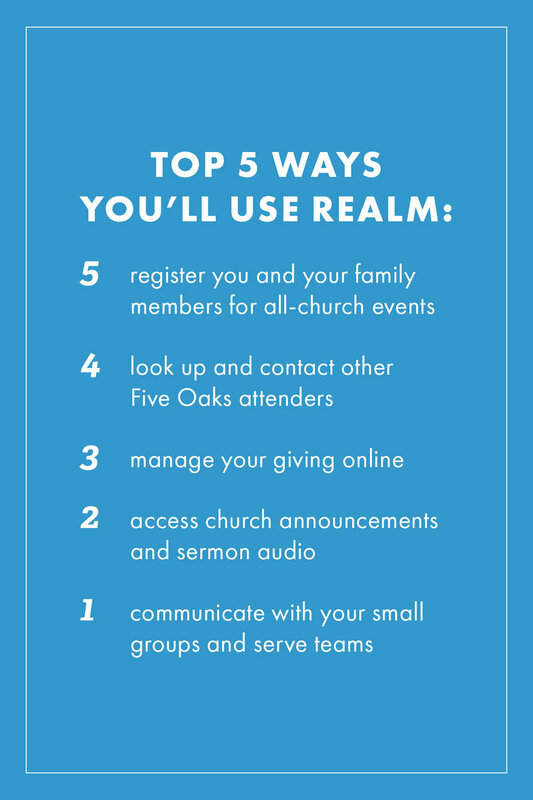 Click the button to find a wide range of helpful articles in Realm's Congregant Guide. Get started giving though Realm!